Repeat after me: Dream. Job. The world of wine can feel a lot like a boys club. Whether you look at professional sommeliers or vineyard owners around the globe, the wine industry is, without a doubt, dominated by men. Even today, only about 10% of lead winemakers at California’s 3,400-plus wineries are women, according to a survey from Santa Clara University. But there are some women who are playing huge roles in this overwhelmingly male industry. 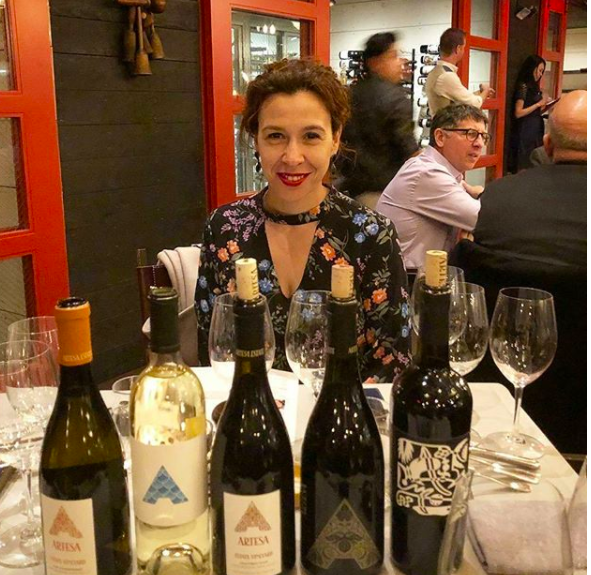 And one of them is Ana Diogo Draper, the director of winemaking at Artesa Winery in Napa Valley, California. 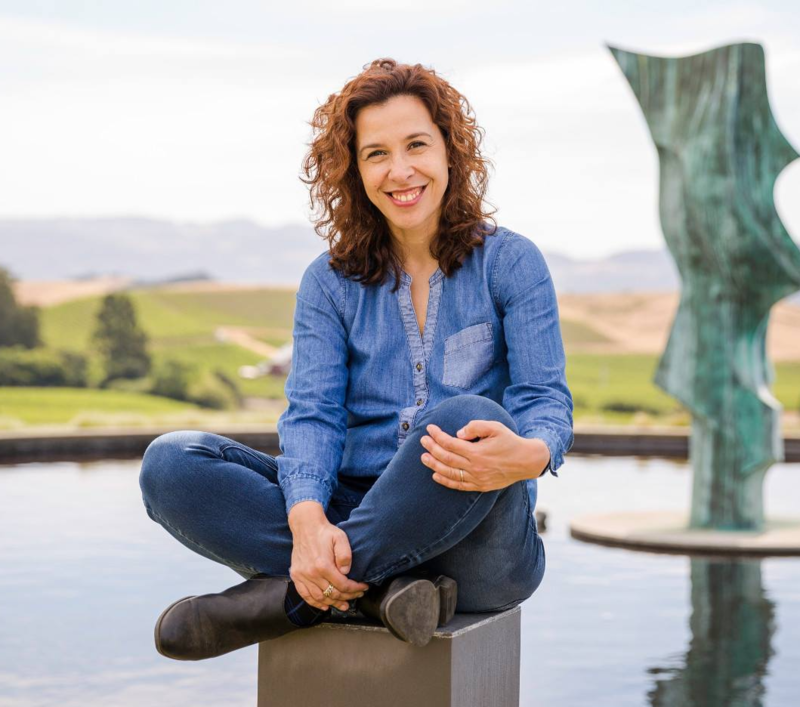 She's a Portugese-born, California-trained winemaker and mom of two young boys. She spoke to us about how she worked her way up from vineyard intern to wine director, what it's like to be a woman in a male-dominated industry, and how she manages to balance her dream career with family life. What was your first introduction to the wine world — and what made you want to be a winemaker? Ana Diogo Draper: I grew up in Portugal, where I was surrounded by wine culture. My family had friends who made wine at home, and every year, we helped pick and crush their grapes. I always loved that experience, and I knew I wanted to eventually do something related to agriculture. But I wasn’t sure what. While studying agriculture engineering [in college], I had a classic aha moment. I took a winemaking class with a professor — who was a really talented and inspiring winemaker — and was immediately hooked. I was taken by the thought process that goes into making wine and all the creativity that exists within it. Tell us a bit about your daily responsibilities as a director of winemaking. What does an average day look like? ADD: When I get to the winery, my day involves tasting and evaluating wine. I assess each lot [of wine], and get to know it, so I can make the best blending decisions. Every day involves lots of planning and working on projects. But I'm also a working mom. Except for during the harvest, I make a point to take my kids to school every day. A big part of my job — and one of my favorite parts — is visiting vineyards. I work mainly on Artesa's 150-acre vineyard, but I also source fruit from other vineyards. Working with growers is something I enjoy. I love the personal interaction, and I get to learn so much from them. I often also work outside of the winery — doing training, conducting tastings, networking with other industry peers. There's never a boring moment. You're from Portugal, but now work in California's Napa Valley. Tell us a bit about how you got there. ADD: In 2004, I came to Napa Valley to work as a harvest intern at Rutherford Hill Winery. I really wanted to learn, and Napa was the obvious choice, since it is one of the top wine-growing areas in the world. I had an amazing experience there. And I fell in love with all that California encompasses — like the incredible sense of opportunity, and that unique “California sagacity” — that if you have talent and work hard, anything can happen. Back then, Europe didn't offer the same opportunities for women in wine unless you were born into the business. I returned to Portugal, but at the end of the year, Rutherford Hill Winery invited me back to run the lab. I immediately accepted, thinking I would be here for a couple of years. But I never left. You started off as an intern at one winery, and now you're the director of winemaking at another. How did you work your way up? ADD: At Rutherford Hill Winery, I started working in the lab, then moved up to assistant winemaker. It took me eight years to get there, but working in different roles helped me understand all aspects of the wine production process. In 2013, I came to Artesa Winery, where I got to dive into making chardonnay and pinot noir. I also got to work with sparkling wine, and varietals that I was used to from Portugal — like albariño, tempranillo, graciano, and granacha. After two years, I was appointed to director of winemaking. According to a survey from Santa Clara University, just 10% of lead winemakers at California’s 3,400-plus wineries are women. What's it like being a woman in an industry that's so dominated by men? ADD: Being a woman in the wine industry is like being a woman in any other industry. You have to work twice as hard to prove yourself worthy of the position you hold. All the discussion about the gender wage gap is a sad reality in our industry too, and I really don’t see this issue discussed as much as it should be. Any sort of bias that I might feel for being a woman, I twist it around, and transform it into an armor. It has made me stronger, more eager to get what I want. I feel very lucky that I was raised by very strong and talented women who showed me that I could do anything. My mother balanced career and motherhood incredibly well, and I strive to do that too. You're a wife and mom to two young kids. How do you balance family life with a demanding career? ADD: I love being a mom, but I also love being a winemaker. I got promoted into my current position when I was 7 months pregnant with my second boy — so my kids have tagged along to vineyards and wineries with me since they were infants. My husband, who also works in wine, is incredibly supportive, and we truly as work as a team. Recently, at a school meeting, one of my son’s teachers mentioned how proudly he spoke of my job. He told his class, "My mom makes wine, and that makes people happy!!" That was such a proud moment for me. I hope I’m raising boys that understand that both men and women can value a family, career, friends, and community all at the same time. What advice would you give to young women who are thinking about pursuing a career in wine and viticulture? 1) Work a harvest season and get your hands dirty. It's not glamorous, but if you go into wine or viticulture, harvest season will be part of your life for the next 30 years. So you better love it! 2) If you've found that wine is your passion, be persistent, work hard, and don’t give up. Believe in yourself. There are a lot of people, men and women, out there with those same dreams, but being determined is an incredible advantage. 3) Taste. A lot. Be brave and try new varietals. And then taste some more. 4) Be curious. Read and learn about wine, vineyards, and wine regions of the world. 5) Travel if you can. Working harvest in different parts of the world is a great learning experience. And it's so much fun. Finally, follow your instincts. They will lead you in the right direction most of the time.